I have completed PG and now I want to do Phd in history from Acharya Nagarjuna University also give me indicative fee structure of the program and eligibility and also tell me that when the university issues notification? For Students without M.Phil(3 years. ): Pass in Post graduation in History with 50% can take direct admission into Ph.D. programme. For Students with M.Phil(2 years. ): Pass in Masters Degree in History with M.Phil in History. Admission Application Form cost paid By Hand at University Centre or Study Centres will be Rs. 300 and By Post Rs. 350. The notification will be released twice a year. The admission notification generally is released in the month of February/March of every year .The Academic year admission notification generally is released in the month of June/July. we just want to know that when the date of the phd notification will be released for this academic year. we are searching for maths,physics ,chemistry ,electronics. i have completed my pg in organic chemisry and i want to know when will be the notification for this year. i want to do my phd in your university. 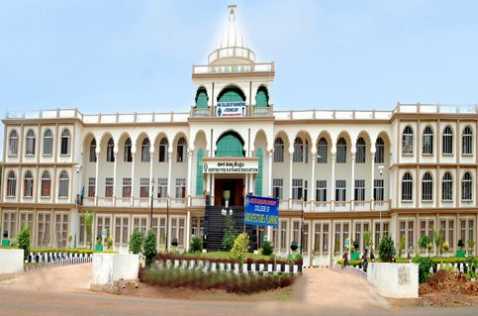 The Acharya Nagarjuna University was established in 1976. The ANU is affiliated by UGC. The applicant should have passed a Post-Graduate degree with a minimum of 55% marks or equivalent GPA Grade. Sir I have completed my PG(pharmacy practice) in pharmacy. I want to do Ph.D under acharya nagarjuna university. can u please tell me when the notification will be given. siri want to do ph.d in management in nagarjuna university,i want to know,date of entrance,and proceidure,please give me to me somedetails. All times are GMT +6.5. The time now is 05:22 PM.